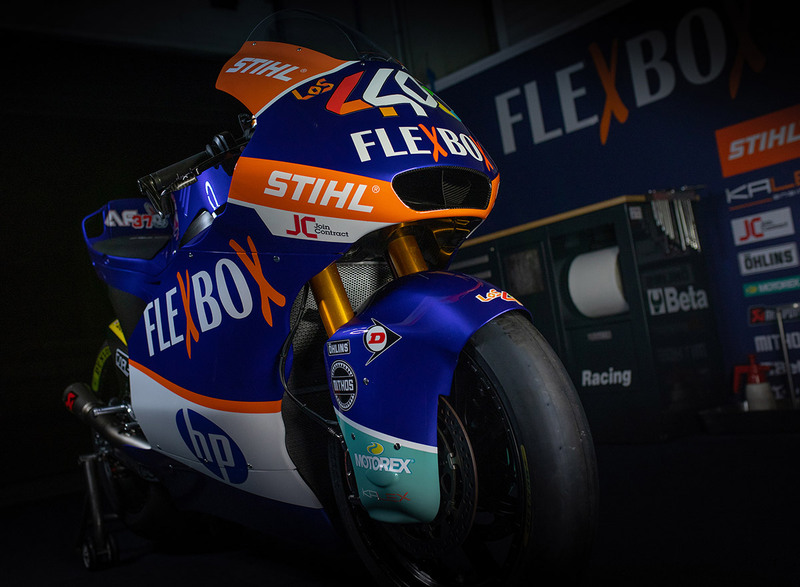 With the start of the new MotoGP season set for March 10 in Losail, Qatar, PONS Racing has presented the FlexBox HP 40, its sports project for this season in the Moto2 World Championship. The team headed by Sito Pons will once again run the rider line-up of Augusto Fernández and Lorenzo Baldassarri, two talented young riders who are expected to be protagonists in the intermediate category and in the official IRTA test in Jerez this week, where they will debut with the new team colours. Augusto Fernández retains his place in the FlexBox HP 40 squad. After debuting on the team mid-season in 2018, Augusto will face his first full season this year. Fully adapting well to Moto2 and with great speed, he is expected to be among the fastest riders in the category. “I am very pleased to present the new sporting project of this season, the FlexBox HP 40. 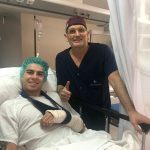 We have two very competitive riders such as Lorenzo Baldassarri and Augusto Fernández, two young talents that without a doubt are a bet of success of present and future. 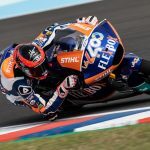 Baldassarri already knows what it is to win in the highly competitive Moto2 category, I think he is at that point of maturity that every rider needs to reach and that should lead him to fight for the title this season. As for Fernández, we were already surprised by his rapid adaptation to the team and category the previous season. We hope to give them the necessary tools and resources to fight for the top positions, and with the aim of fighting for the World Championship. We have a competitive and exciting duo that will lead us to achieve success. Again, everything is possible thanks to the confidence of our partners in our project, the FlexBox HP 40. Without them it would not be possible and I want to thank them for one more season. Without doubt, together we will enjoy a good year and we will celebrate many successes together”.